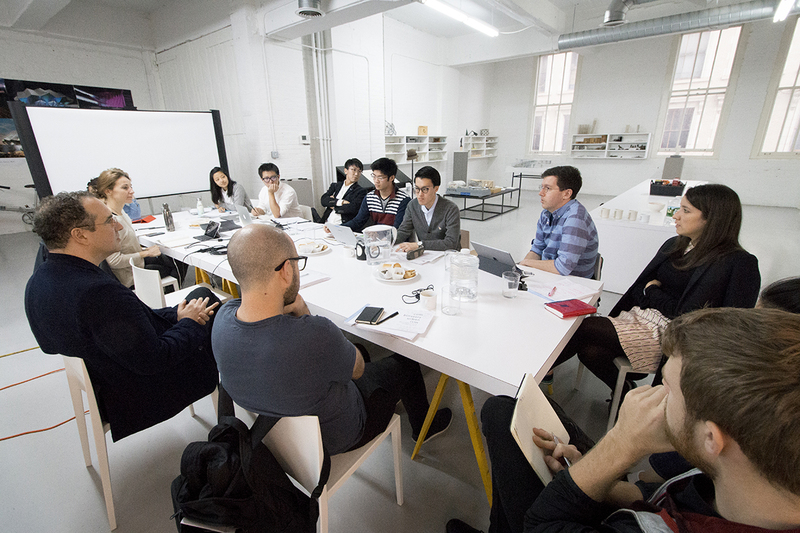 Princeton University School of Architecture hosted a joint workshop in New York with visitors from the University of Tokyo between October 28 and November 6. The workshop is part of a strategic partnership program between Princeton and UTokyo, and was initiated by Princeton Professor Jesse Reiser and University of Tokyo Associate Professor Yusuke Obuchi. The aim of the workshop is to create opportunities to exchange architectural knowledge between cultures and universities. The first workshop in this initiative was held in 2016 in Tokyo. Participants had the chance to meet and engage in discussions with master Japanese architects such as Fumihiko Maki, Arata Isozaki, and Hiroshi Hara. The October workshop represented the US-hosted portion of the partnership, and the content focused on Steven Holl, Bernard Tschumi, and Thom Mayne. Five students from the University of Tokyo participated (two PhD, one master, and two undergraduate). Each student received seminal essays written by each focus architect, and then had an opportunity to discuss them in a preparatory seminar before visiting the architects’ offices and conducting interviews. Students also visited buildings in New York and Princeton designed by the architects.